Preheat oven and prepare pizza crust according to package directions, placing the dough onto a baking sheet or pizza stone. Slice or dice meats, veggies and other topping ingredients in similar-sized pieces. Using a large spoon, ladle pizza sauce over dough. Use the back of the spoon to spread it to a uniform thickness, making sure to spread it almost to the crust edges. Layer a generous portion of shredded cheese over the sauce. Add toppings, one at a time, in layers. Bake according to package directions (usually 12-18 minutes), until crust is golden and cheese is bubbly. Just thinking about pizza is putting a smile on your face, isn’t it? 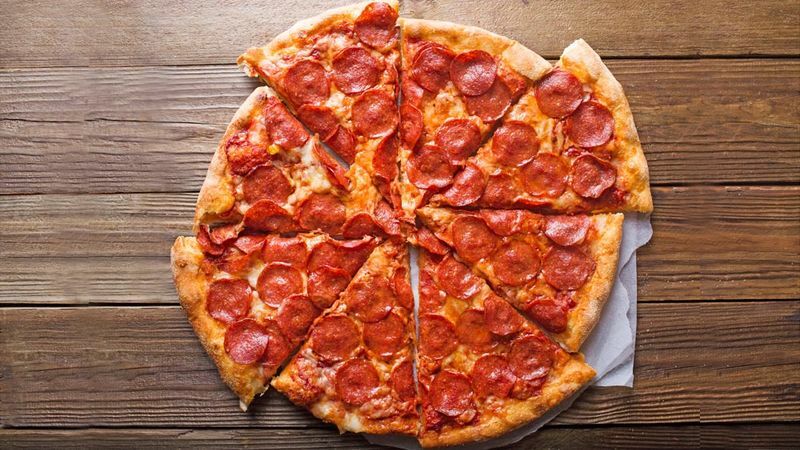 Have the greatest pizza night of your life with this easy recipe for homemade pizza. Sure, delivery is easy, but they make you choose between your favorite toppings to get a good deal. We would never do that to you. You should have every topping you want! And when the pizza is homemade, you can add as much as you like of whatever you like. And isn’t that the dream?